Today’s business demand mobility, flexibility and practicality in daily business operations without sacrificing security. it is essential for decision makers to plan carefully with their IT professionals to find out an integrated cloud solution of data management that can cater for all these needs. 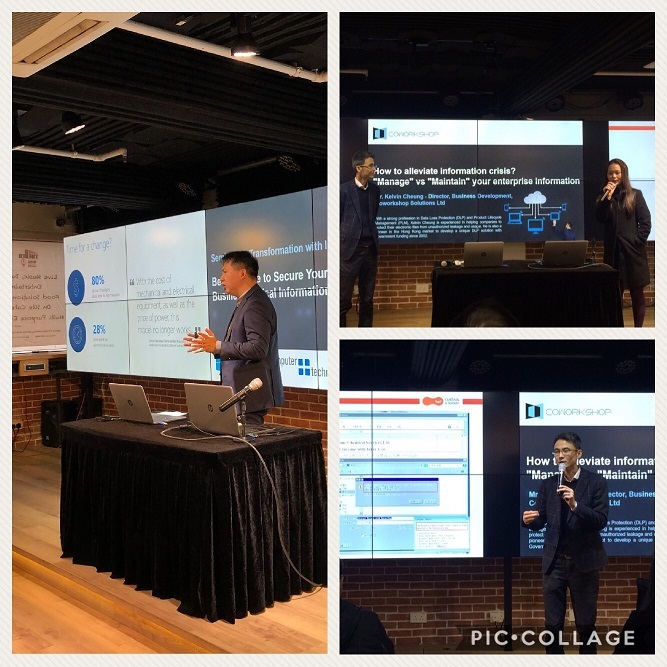 In the seminar, specialist speakers from Microsoft, C&T and Coworkshop shared the latest technology development of Azure to realize real-time data security on the cloud, “all-in” cloud collaboration with VITOVA EIM on Azure, and the use of Curtain e-locker to prevent leakage and loss of sensitive data.